Written in Mandarin Chinese. English language translation by Hallie Treadway published by Head of Zeus on the 7th February 2019. But it is 1967 and the Cultural Revolution is sweeping across China. As the Red Guard systematically loot and destroy Tibet's monasteries, Gongzha helps hide two treasures belonging to his local temple: an ebony-black Buddha marked with an ancient symbol and a copy of the twelfth-century text The Epic of King Gesar, written in gold ink. The repercussions of his act will echo across the decades. 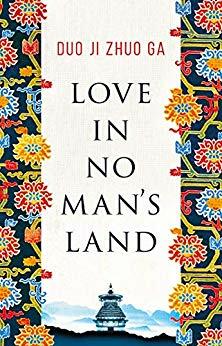 I haven't read a sweeping romantic epic in ages and Love In No Man's Land certainly fits the bill on all three of those counts. I loved its late 1960s Tibet setting especially as we got to learn a little about the daily lives of the nomadic peoples living there and how their society was irrevocably altered by Mao's Cultural Revolution. Theirs is a harsh isolated existence, survival depending primarily on the health of their sheep flocks and yak herds. Buddhism was a vital faith, but its beliefs were mingled with ancient legends and Duo Ji Zhou Ga does a fabulous job of weaving the spiritual realm into the physical and mundane. At times Love In No Man's Land almost resembled a South American magical realism novel. I am now completely entranced by the idea of the high Tibetan plateaux and their otherworldly beauty. Scenes of immense grasslands, hidden valleys and soaring mountains are so vividly described that I think anyone reading this novel will be sorely tempted to jump straight onto a plane! The people seem strong, patient and noble, but with the same ugly flaws of jealousy and greed as can be found anywhere. While this novel is essentially about a man's life, I felt that it was the actions of women that drove the narrative. Gongzha is an enticing figure as the heartbroken romantic hero, galloping alone over the wide empty grasslands, and I wouldn't be surprised to see a film version of Love In No Man's Land soon. Keeping track of all the familial and love relationships was a little tricky at times, especially when I first encountered characters with similar names. However, as the story progressed and I got to know everyone better, this was much easier. Love In No Man's Land is separated into two halves, part two set much later than part one. Had it consisted only of part one I think I would have awarded a full five stars. I felt this part was by far the more fully developed thematically and the characters felt deeper and more authentic too. Part two introduces new characters and I felt it's pace was too swift, lacking the emotional depth of part one. There's an unconvincingly resolved love triangle and that storyline takes centre stage whereas I would have preferred to spend time with the poachers and with the ascetic community. The incorporation of the legend needed more space too - what's the chain all about then? 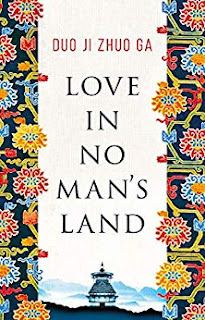 Despite my pickiness, I think Love In No Man's Land should appeal to a wide readership because of its powerful love story and its historical setting. I love reading stories set in times of great social upheaval and the Chinese Cultural Revolution was one of the most intense. That sounds like a real interesting time for a story to be set in. Yeah, the second part I think would have felt better if the first part hadn't been so good. It paled in comparison!